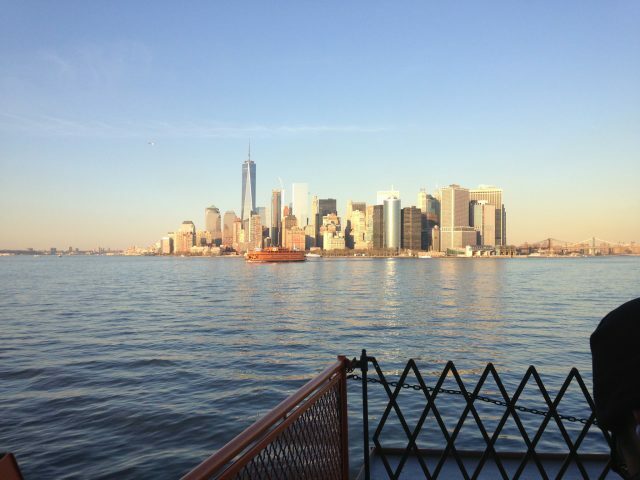 Are you ready for a semester in New York City? 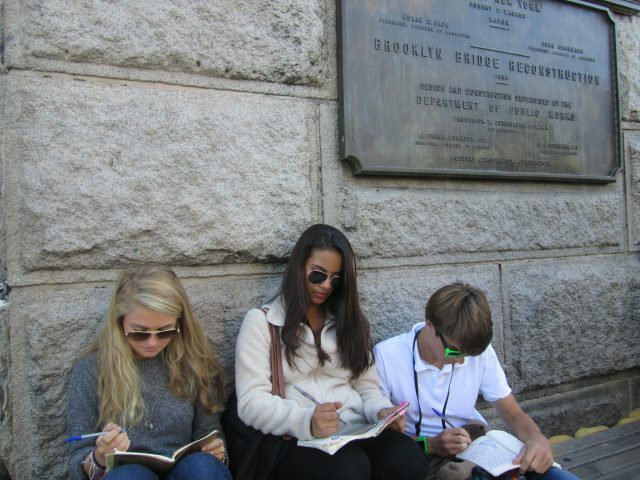 CITYterm is an experience-based semester program for intellectually adventuresome juniors and seniors in high school. Based at The Masters School in Dobbs Ferry, NY, the program brings together 30 students and eleven faculty members, seven in residence, for an intensive study of New York City. 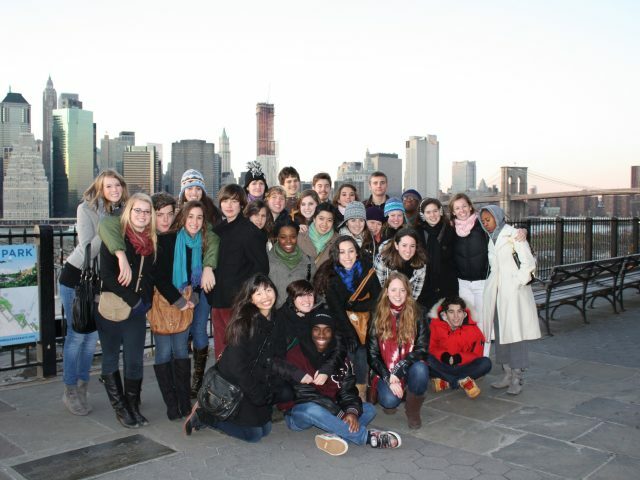 Students spend three days of our six-day academic week in the classroom and three days in NYC. 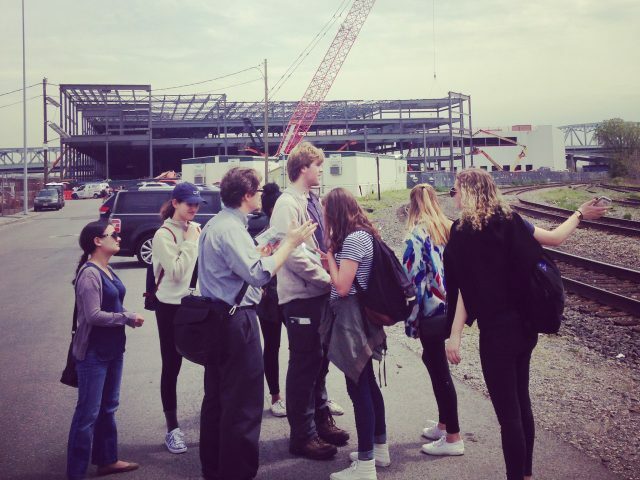 The program encourages students to connect classroom learning with city experiences through an integrated, interdisciplinary curriculum that employs New York City as its central text. CITYterm has a six day per week academic schedule. 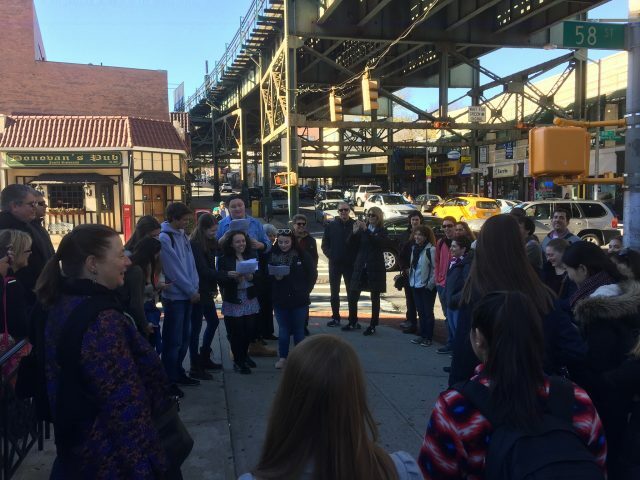 Students spend two weekday afternoons in the city and all day Saturday engaged in fieldwork. They devote three weekday afternoons participating in the Urban Core, an interdisciplinary, humanities-intensive honors course that encompasses the History, Literature, and Urban Environments of New York City (for which students receive three credits from their home school, the equivalent of three honors-level courses). 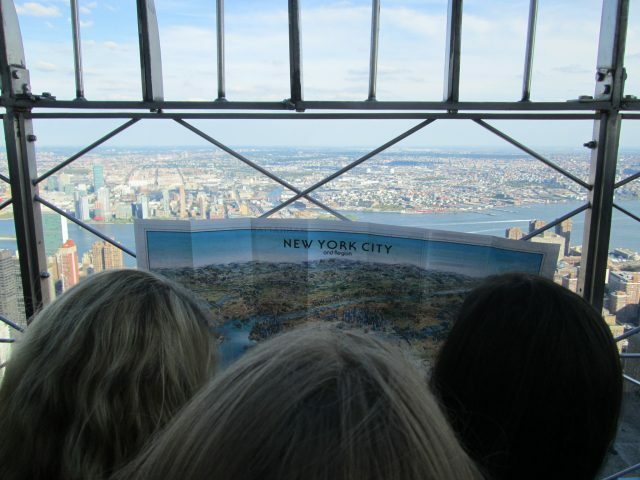 The Urban Core is taught by a team of experienced teachers who foster the students’ exploration of New York City and the learning process itself. In addition, students take Math, Science, Foreign Language and/or American History in hour-long course blocks which meet three times per week. The following courses are available to support students’ on-going academic programs at their home schools: Algebra II/Trigonometry, Probability/Statistics, Pre-Calculus, AP Calculus AB and BC; French III, IV and AP Language; Spanish III, IV and AP Language; AP Latin; Physics and Chemistry; U.S. History, and AP U.S. History. A Semester School: CITYterm is an intensive, experience-based semester school for juniors and seniors in high school. Students come from public and private schools across the country and around the world. CITYterm is open to domestic and international students. You can attend in either the Fall or the Spring semester. A Learning Community: CITYterm brings 30 students and 11 faculty members together to create a close-knit community. You will live on a gorgeous 96 acre campus at The Masters School and form connections that will last a lifetime. Experience-based: We believe that the most profound learning takes place when it is rooted in experience. 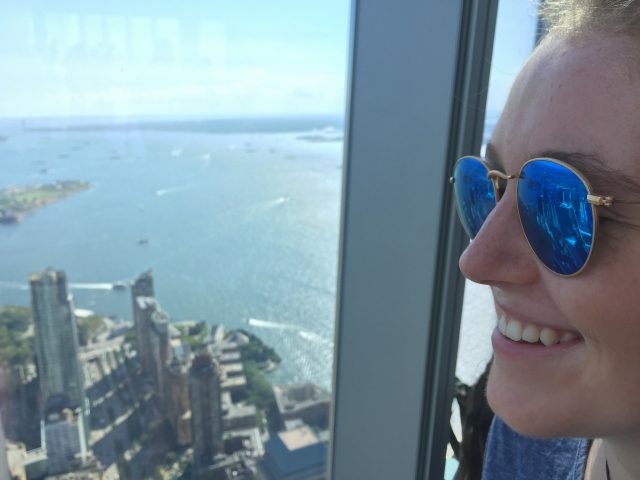 Students spend every other day in New York City linking their classroom work to the endless array of opportunities available. Interdisciplinary: With a shared text of New York City, CITYterm’s three-course Urban Core curriculum is fully interdisciplinary. 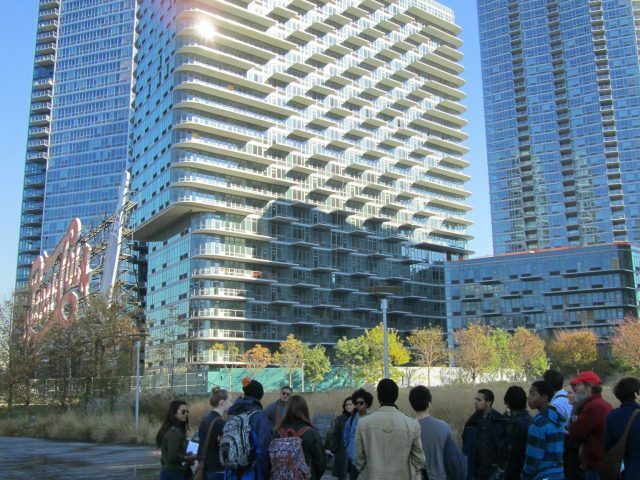 The Urban Core is comprised of Honors-level History, English and Urban Environments of New York City, but is taught as an interdisciplinary course. You will design projects that explore complicated questions from a variety of angles. Authentic: Learning at CITYterm is based on authentic experience. 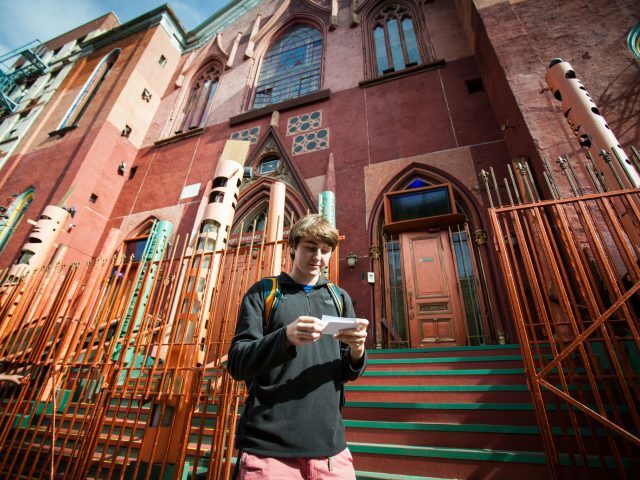 Our students recognize that learning can happen on any city block, and that the best instruction does not culminate in an exam but with a seminar featuring a novelist or a poet, a meeting with an architectural historian, a dinner with a homeless person, an afternoon giving a neighborhood walking tour, or a night at the theater. At CITYterm, what you are learning will feel connected and relevant to you and to the world we live in. Student-centered: Your teachers will learn alongside you and empower you to see yourself as the author of your own learning experiences. 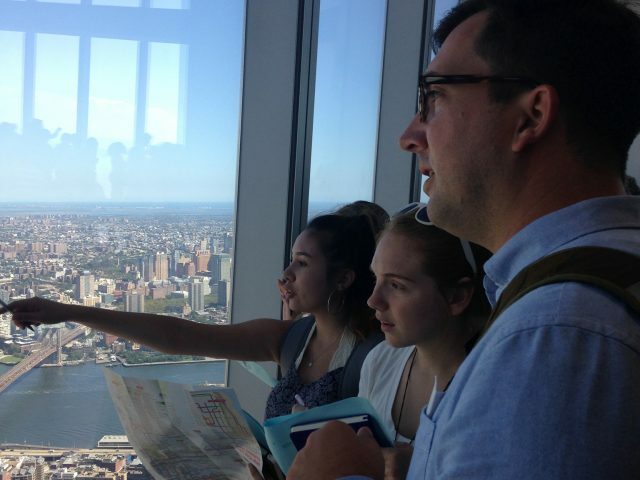 Through regular feedback and once-in-a-lifetime experiences in New York City, CITYterm’s curriculum will move you towards increased academic independence; ultimately you will have more and more opportunities to design your projects. The projects you build around these experiences will push you to develop a wide range of skills from reading and writing to active inquiry, critical thinking, and team leadership. The collaborative environment will encourages you to embrace dialogue, listen, question, and try out new ideas. Keeping You on Track: In addition to the Urban Core, you can enroll in a wide range of math, science and foreign language courses. At CITYterm will you receive credit for the three Urban Core classes and for the math, science and language courses you take. You will return to your home school on track for graduation and college. For more information and to apply, please visit — CITYterm at The Masters School Web Site.